Summer temperatures can be harsh and practically unbearable. Warmer weather affects all runners and you don’t want to let the heat to keep you from your favorite outdoor trail. Thankfully temperatures will be beautiful this November for the South Padre Island Marathon! In the mean time, you will be training this summer! 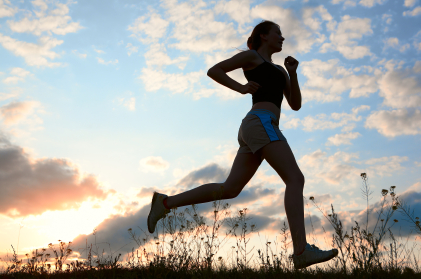 Running in the heat can be dangerous if proper precautions and preparations are not followed. Here are some tips to help you acclimate to the warmer weather and stay cool! Wear light and breathable clothing. Avoid wearing dark and heavy clothing. Choosing to wear a sauna suit or sweats is dangerous and not worth the risk. An indication of dehydration includes a persistent elevated pulse and dark yellow urine. Before you run, pre-hydrate at least 10-15 minutes before and drink fluids every 20-30 minutes along your route. Make sure to run along a route where you can refill a water bottle or have access to a water fountain. To help avoid dehydration and direct sun exposure, try to run in the shade whenever possible and avoid blacktop surfaces. It is important to carry identification on you and to tell someone where you will be running. Check your local forecast before you head out the door! Choose to run on the treadmill or on an indoor track when the temperature is above 98.6 degrees the humidity is above 75 percent. When the humidity in the air is so high, it prevents the process of evaporation of sweat from the skin. If you feel sick, stop running! Reaching the point where you feel dizzy, nauseated or stop sweating can become very dangerous. Stop your run immediately, hydrate and go indoors. You should talk to your doctor about running in the heat if you have heart or respiratory problems.